He doesn’t have a proper name yet, so Mr. Reindeer will have to do. I got the inspiration for him over at another blog I visit frequently, Mom to 2 Posh Lil Divas, where they made their very own Monster to go with the book There Was an Old Monster. 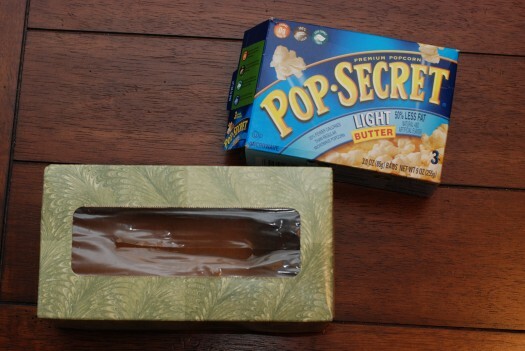 When I saw her post, I immediately made sure to save my next empty tissue box. 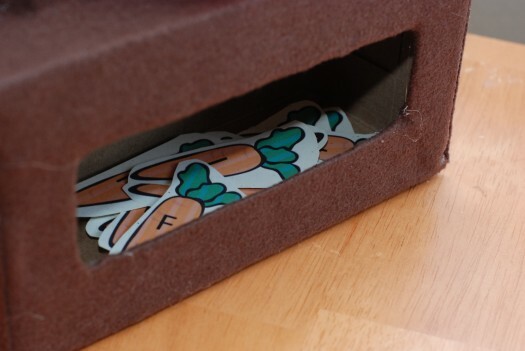 I decided we were going to feed Mr. Reindeer carrot letters and lettuce numbers, so I went ahead and made them and printed them on card stock. E really enjoyed “feeding” the reindeer each carrot and head of lettuce as we worked on her letter and number identification, naming and counting skills. We also took turns picking a head of lettuce and then counting out that many carrots. There are SO MANY things you can target with this simple little game, and kids LOVE “feeding” things to “animals”. I covered the boxes in felt using hot glue. 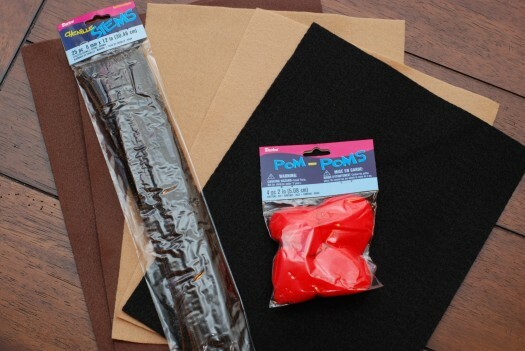 You could also use construction paper, however I want to be able to save this and use it year after year with my children and students, so I used felt. I drew antlers on card stock, and glued them to the felt with tacky glue. (You could use card board also) I then cut out the felt around the card stock. Since they were a little flimsy, I hot glued a pipe cleaner on the back of each one for support. I then hot glued the antlers to the back of the head. 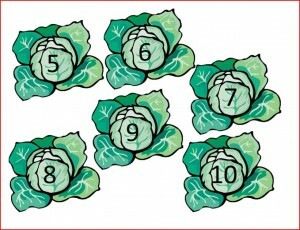 Turn the lettuce cards over and place in a pile. 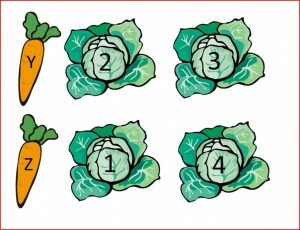 Take turns picking a card, and then feeding the reindeer the number of carrots on the lettuce. 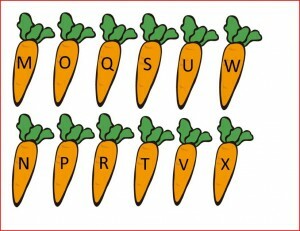 Print out two copies of the carrots and/or lettuce on card stock and play memory! 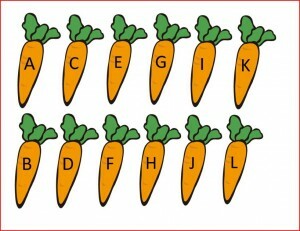 Laminate the carrots and write target vocabulary (or target articulation words, if you are an SLP) on the back with dry erase marker. (I added this in a few hours after I published this post…somehow this had gotten erased before it was published). If you want the cards to last, laminate them. Download tour own set of carrots/lettuce HERE. 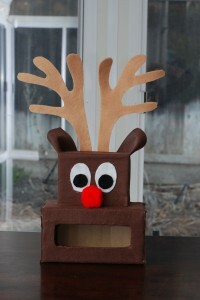 Make sure to stop by on Friday…I have another activity that can be paired with Mr. Reindeer! Love Mr. Reindeer activity and your new Christmas header. We did the Snowman book yesterday and it was a huge hit. I hope to post that up on our blog soon. Thanks for all the fun ideas. This is the cutest IDEA!! I just found your blog and I am so glad I did! I am sending my speech pathologist over here too! Thanks for sharing some great resources! Thanks Amy! So glad to have you…I’ll be checking out your blog as well! I love this!! I pinned it to use on one of Boogie’s trays later in the month. Visiting from It’s Playtime Linky! Thanks 😀 And Thanks for stopping by! This is WAAAAAAAAAAAY cute!! What a fun, creative, learning activity that is sure to delight! I see a reindeer in our future too =-) Thanks for the free downloand – we’ll be using it! Thanks for linking up to TGIF!! Can’t wait to see what you come up with next week!!! Thanks Beth! 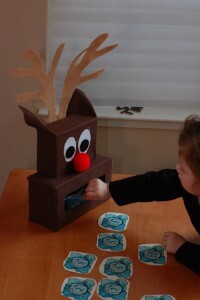 Your kiddos will LOVE the Reindeer!! Let me know if you end up making one! 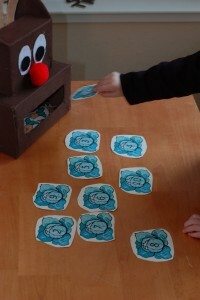 What cute numbers and letters activities! And thank you so much for sharing your tutorial and printable! Thanks for linking up with Montessori Monday. (If you could add the Montessori Monday button or link back, that would be awesome!) I featured your post at the Living Montessori Now Facebook page and pinned it to my Kids’ Christmas Activities Pinterest board at http://pinterest.com/debchitwood/kids-christmas-activities/. That is just the cutest thing! I am going to go make one immediately. Thanks! Thnaks Jenny Anne! let me know how you like it! What a fun idea! You could make it a mailbox too. This is so cool! Shiloh that is a great idea!! What a fun idea, Katie! I would love it if you would share it at Sharing Saturday at http://craftymomsshare.blogspot.com/2011/12/sharing-saturday-8_09.html. Thank you! Oh my goodness, I LOVE THIS! What a great way to practice numbers and letters. I can’t wait to make it! Thanks for the awesome idea! I just wanted to let you know I featured this at this week’s linky party – http://livinglifeintentionally.blogspot.com/2011/12/tgif-linky-party-9.html – So pop on over, grab your Featured Button & don’t forget to link up this week!! Thanks again for sharing your creativity with the rest of us!! Yes Hilary, I am planning a post on this VERY idea. 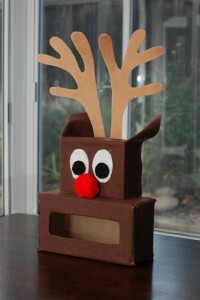 I thought of this when I was making my Reindeer! I would love to include this activity in my 2013 Christmas Activity Advent Countdown. I would include a pic and a link to your site for the directions. If you don’t want me to share this, please let me know. I’d be honored! Leave me the link when it’s live! I was so excited to see this activity and wanted to download the book The Very Hungry Reindeer as well – but it seems like it is no longer available. Any chance I could get a copy somehow? Thanks! This is adorable. I will definitely be using this during my circle time for my 3 year olds. Thanks for sharing such a cute idea.